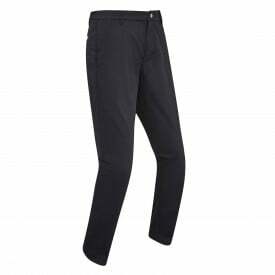 Galvin Green are a company that are well known for producing top quality golf clothing. Their new Carbon range of clothing feature premium products that are available in black, grey and silver. The Archie waterproof jacket has been made from the highest quality materials that are extremely lightweight and stretchable giving unrestricted movement to the golfer whilst out on the golf course. It is a highly breathable jacket which allows you to feel warm and comfortable no matter the weather conditions. The jacket benefits from Gore-Tex fabric with C-Knit backer technology. This ensures that the jacket is completely waterproof and windproof whilst being extremely durable and comfortable to wear. The smooth texture of the knit allows the jacket to 'slide and glide' over the under layers worn making it easy to put on or remove the jacket. It features a full-length zip to the front up to a high collar which protects the neck from the elements. There is an adjustable collar width and adjustable chest width for optimum comfort. The full-length sleeves are shaped so that movement is not an issue. There are two zipped pockets to the front of the jacket which are ideal for the storage of any golf related items. All zips on the jacket are water repellent. The side seams of the jacket have been repositioned so that they do not catch or snag. There is a drawstring to the hem and adjustable cuffs all so that the jacket can fit the golfer perfectly so that no rainwater can penetrate to the layers below. This is a fantastic waterproof jacket from Galvin Green. It is guaranteed to keep you dry even when the weather is doing its worst. A must buy for the winter. It is available in sizes S to XXXL and it comes in Carbon black. Fully adjustable collar width/chest width/cuffs.